A conviction for a violent offense can result in a long prison sentence, a hefty fine, the loss of certain rights (such as the right to own a gun), and a permanent criminal record. Even first-time violent offenders can face serious consequences. For this reason, you must enlist an attorney who can work with prosecutors and defend you aggressively in court if necessary. Hiring a lawyer as soon as possible is vital to the strength of your case, especially when charged with a violent crime. Nevertheless, I have included some important information regarding violent crime(s) below. Violent Crimes are defined by South Carolina Code Section 16-1-160. It provides an exhaustive list of violent crimes in South Carolina. On the other hand, non-violent crimes are defined as those crimes that are not included in South Carolina Code Section 16-1-160. Being charged with a violent crime has several implications. On the front end, being charged with certain violent crimes prevents the Judge at the arraignment from setting a bond, reserving that issue for the Circuit. Murder and Burglary in the First Degree are examples of violent crimes that do not allow initial bonds. On the back end, being convicted of a violent crime may affect the percentage of any prison sentence that a convicted person might serve. Most violent crimes require that eighty-five percent (85%) of the prison sentence be served while non-violent charges only require that sixty-five percent (65%) of the sentence be served. 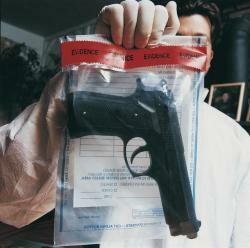 Violent crimes are also no-parole, and some of them are Serious or Most-Serious crimes. Serious and Most-Serious crimes are commonly known as “strikes” that may lead to a Life Sentence in prison. Violent crimes require the presence of an “aggravator” that takes it from a regular crime to a violent crime. For example, burglarizing a home is not necessarily violent, but burglarizing a home a night makes it an automatic violent crime. Another “aggravator” is a subsequent charge or conviction for the same offense. This is where the legislature has decided that habitual offenders are violent offenders. This is done with Burglary and Drug Offense. It has been my experience that people are often “overcharged” when charged with violent crimes. Maybe they are guilty of something, but not in the severity as suggested by the charge. For example, an assault and battery from a fight may be charged as attempted murder if a weapon was used. In other instances, charges are reduced by the work of the attorney’s that alleviate the circumstances of aggravation during negotiations with the Prosecutor(s). If you are charged with a violent crime or need a criminal defense attorney in general, the Law Office of Brian P. Johnson, LLC can provide you with a consultation to help you understand the steps involved in your case. If retained, we will work to help you combat your charges so that you can move forward with your life. We have high profile case experience with charges of violent crimes, which ensures that we can professionally manage even the most complex cases. In order to be flexible and convenient, we have open office hours, easy appointment scheduling, and payment plans available. Call today and schedule your free and confidential consultation. Our law office focuses on those accused of crimes across Upstate, South Carolina, including: Greenville, Spartanburg, Anderson, Pickens, Laurens, and Oconee counties.